Welcome to Lincoln Technical Institute! You cannot afford to overlook Lincoln Technical Institute if you are in search of a promising, rewarding future! Lincoln Technical Institute is a reputable institute of learning with 20 locations in the United States. As a division of Lincoln Educational Services, we are held to high standards and deliver a quality education to all of our students. At Lincoln Technical Institute, our students come first and are nurtured in all social, personal and academic areas. With more than 60-years of experience in developing training curriculum that meets and exceeds both student and industry expectations, Lincoln Technical Institute has come to be known as a leader in instruction and education. If your goal is to stand out in the real world as a graduate of excellence, then Lincoln Technical Institute is the school you are searching for. You have nothing to lose and everything to gain! Request a course catalog and attend Lincoln Technical Institute this year! Campus: Lincoln Technical Institute has 20 locations in the United States. Not all programs are offered on all campuses, so contact a Lincoln Technical Institute representative for more information on the campus of your choice. Lincoln Technical Institute campuses do not offer on-campus housing. Online: We also offer an online option. Students can complete one of the select online degree programs and earn their college degree from the comfort of their own home. Campus: Program length will vary depending on the program in which you are enrolled, but programs can be completed in less than 2-years. Flexible scheduling allows you to choose from day and evening classes. A strong emphasis is placed on practical skills and hands-on training. Online: Lincoln Technical Institute’s select online degree programs are for our non-traditional learners. Online diploma and degree programs offer the utmost flexibility and freedom. You can set your own schedule and work from anywhere in the world. Instructors are available via email and IM, and assignments are completed and submitted online. Again, program length will vary depending on the degree program in which you are enrolled. Tuition and fees will vary depending on the program in which you are enrolled. 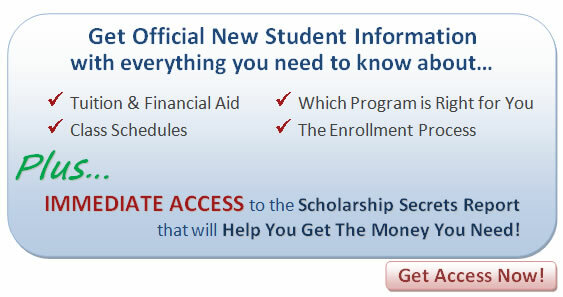 Financial Aid is available to qualifying students. Representatives at Lincoln Technical Institute are anxious to discuss your options and get you started on your career-path, so contact us today! Lincoln Technical Institute's Career Services Department is always available to assist you with career planning and job search preparation. Our experienced and knowledgeable faculty is available to assist you with all of your academic needs. Lincoln Technical Institute is accredited by the Accrediting Commission of Career Schools and Colleges of Technology. Request complimentary official new student information from Lincoln Technical Institute and learn more about getting your college degree and taking control of your career and your future!